Inflow Pressure, Screen Screening System, Paper Pulp making. The small motor power of Inflow Pressure Screen makes high capacity and energy saving. The inflow structure makes low pulse, so it has good effect of homogenate. There is no gaskets companion flange pulp outlet in the Inflow Pressure Screen. Screen’s inwall is polished. Seamless connection of flow pipe, no fiber hitching. Automatic oil injection device, seal water detection alarm device. 1. Inflow Pressure Screen has high screening efficiency: As the slurry enters the screen along the tangent line with a high pressure, the centrifugal force acts on the pulp. Before the slurry enters the screen drum, fibers and coarse impurities have already been separated and passed through the pulp. The difference quickly passes through the sieve drum. 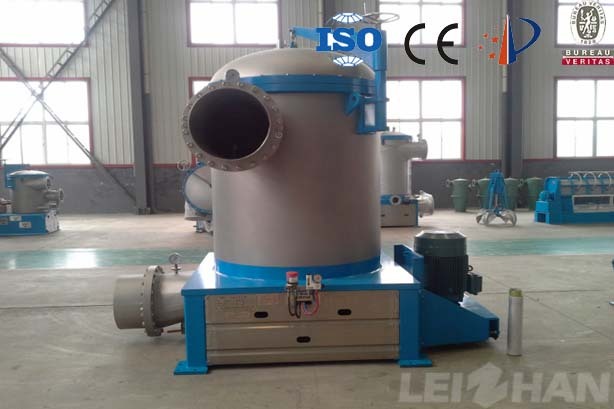 2.Inflow Pressure Screen has Long service life of the sieve drum: As the pulp enters the pressure screen, the heavy impurities of the pulp are centrifuged and separated, thus reducing the impact and abrasion of the impurities on the rotor and the screen drum. 3. When the screen is not blocked: the pulp is screened from top to bottom without thickening phenomenon, impurities are far away from the screen drum, and the screen drum is not easy to block. 4. Inflow Pressure Screen can replace the low-pulse screen: The machine has low pulse strength, direct access to the Internet does not produce disturbances. 5. The quality of the pulp is good, the screen drum is made of stainless steel Seiko, fine sieve seam, so that the harmful impurities in the good slurry removal. The rate is greatly improved. 6. The maintenance cost is low: the spindle adopts an advanced mechanical sealing system and is not easily damaged.